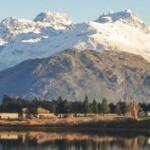 When one thinks of New Zealand in terms of wine, Sauvignon Blanc comes to mind. 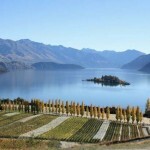 Indeed, it’s by far the country’s most important grape, accounting for a whopping 72% of the New Zealand’s grape plantings. 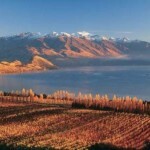 But, New Zealand has fantastic wines made from other grapes! 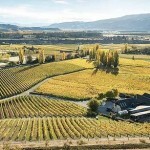 Enter Pinot Noir, the country’s second most important grape. 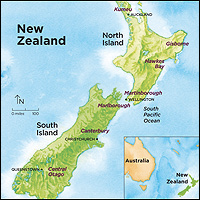 Although it comes in at about 9% of total grape production, New Zealand is famous for it’s unique versions of Pinot Noir. Stylistically, these Pinots land somewhere between a traditional elegant, tart Burgundian style and a soft, fruit-forward New World style. 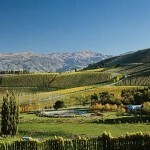 Most of New Zealand’s Pinot Noir vineyards are planted on the South Island, with the very best hailing from the region of Central Otago – the world’s southern-most commercial wine producing region, and New Zealand’s only true (semi) continental region. Here, summers xare hot and dry, and winters cold and snowy, with a diurnal temperature variation that helps to maintain acid levels in the grapes, leading to refreshing and mouthwatering wines with bright red fruit flavors of strawberry, cherry and raspberry. With age these wines develop complex earthy and mushroom characteristics. 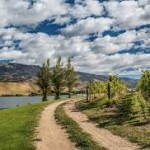 Central Otago is Lord of the Rings Middle Earth country!